A short while ago, I posted on the phenomenon of ear cuffs, which were fashion news to me. 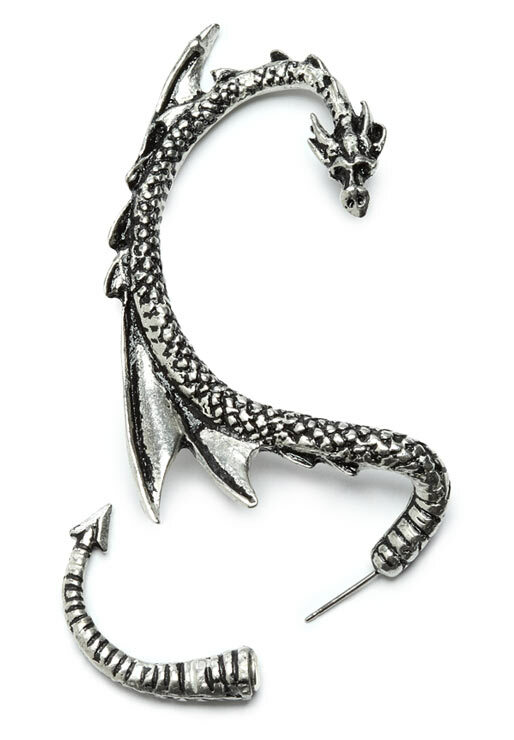 Then as I was browsing through the Think Geek online store (uh huh), I saw it: the Dragon Ear Wrap. 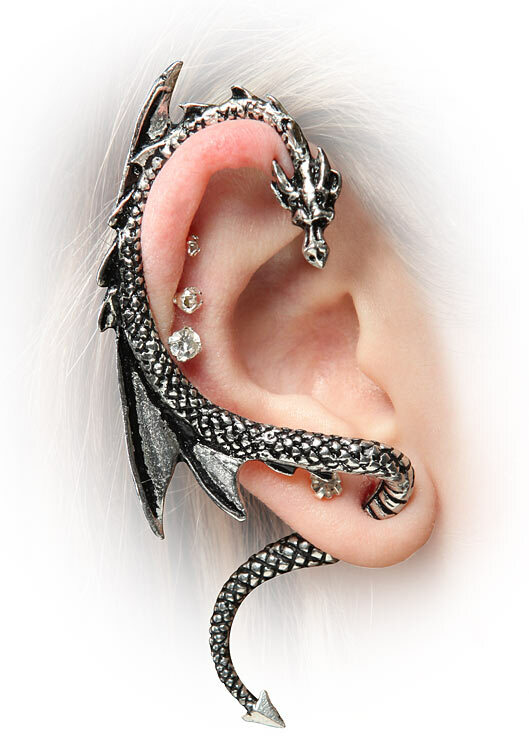 Let’s be clear, the Dragon is to the standard ear cuffs what the Kardashians are to the Brady Bunch – bigger, more outrageous and a whole lot crazier. And don’t worry, the Dragon just looks as though it is permanently attached – it really clips to the top of your ear and then you wear the tail like a normal earring. Yes, just like a normal earring. Or perhaps a scrolling LED belt buckle is more your style. It can store up to five messages, so you might want to pre-program it for a night out on the town and then you won’t have to worry about shouting over th at pesky loud music – just point down to your buckle and let your belt do the talking. 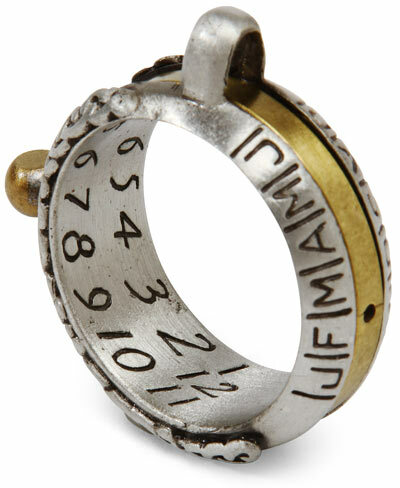 For the old school geek, there’s a sundial ring. Apparently it works – although why you wouldn’t wear a watch or check your phone is beyond me. It seems very complicated and presumably much time passes you by as you fiddle with the dial to calculate the time of day. And what if it’s a cloudy day? Or you want to know how long to wait ’til the last bus home in the evening? You’ve been warned, my friends. Or for less than $20, you could go back to a time when the concept of a wearable device that told the time and could add up the cost of your comics and lollies was MINDBLOWING. Yes, the Casio calculator watch is back and is sure to wow the kids of today. Or at least confuse them even more about that mythical time before iphones and Wiis. 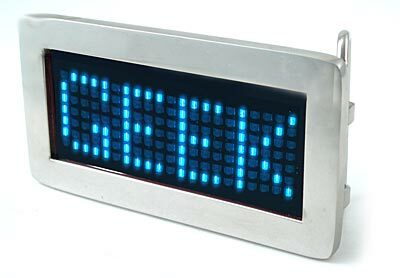 If you would like to check out more geeky gear, then Think Geek is the place for you. There’s a lot there that goes way over my head, but if you’re down with maths and computers, or even if you just like weird stuff, it’s worth a look! A think geek store? I must go.